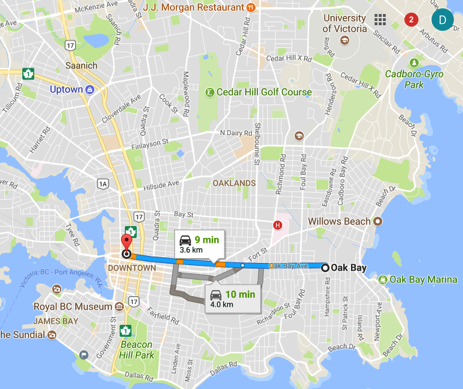 The Oak Bay Marina is located in South Oak Bay, adjacent to the city of Victoria, British Columbia, Canada. 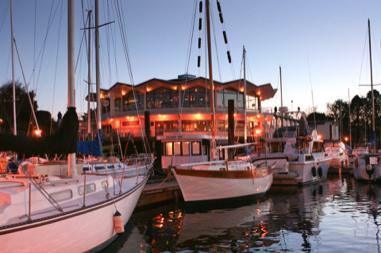 Built on Turkey Head Point, the Oak Bay Marina is operated by The Oak Bay Marine Group. It is home to a fuel dock, gift shop, coffee shop and restaurant as well as some private and community organisations: C-Tow Victoria (Greater Victoria Marine Assistance Ltd), Gartside Marine boat repairs (equipped with one railway boat lift located near the front Oak Bay Marina), Vela Yacht Sales, Oak Bay Sailing School, 12th Garry Oak Sea Scouts, Oak Bay Sea Rescue RCM-SAR Station #33, and the Oak Bay Recreation sailing program. Oak Bay Marina is a border and Customs check in point (phone box only) located at the fuel dock.